AYPO Tech has continuing education courses that are approved by the State of Oregon to provide water operators with the continuing education units (CEUs) that they need to renew their license. Courses provided here cover both water treatment and water distribution topics in a way that is informative and interesting. 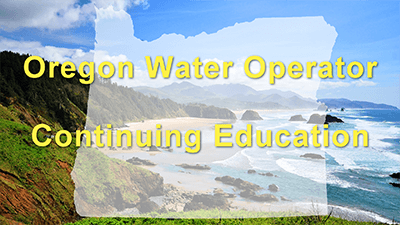 What are the continuing education requirements for Oregon water operators? Complete 2 CEU's (20 Contact Hours) on even numbered years if your last name starts with A-K. Complete 2 CEU's (20 Contact Hours) on odd numbered years if your last name starts with L-Z. Submit a CEU self-certification form with a signed affidavit affirming that you have completed the 2.0 CEU's within the 2 year renewal period(new regulation). Our Oregon OESAC ID is 3764. Choose any of our online courses below to suit your needs and print an official certificate of completion upon finishing for your records. This package is designed for State of Oregon Water Operators. This course is approved with the OESAC to meet your continuing education requirements! This course provides 0.5 CEU Drinking Water or Waste Water credit and will cover topics on utility management. Our Utility Management course will enhance your ability to apply effective management techniques, prepare and implement a risk management plan; identify workplace hazards; respond to workplace injuries and more. This course will fulfill 3 of your required hours for Oregon water operators. This course will fulfill 1 of your required hours for Oregon water operators. rosters to the appropriate agency. The correct form may be fotmd on OESAC’S web site www.oesac.org. If this is a Short school the Certificate must clearly show CEU attendance in Drinking Water, Wastewater, or DEQ OnSite. 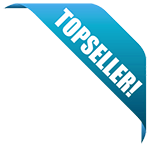 needed for repeat offerings where there is no significant change from the information contained in the initial application. appeal it. The process for appealing an OESAC decision can be located at www.oesac.org. If you have questions, please contact Judy Grycko at 503/698-8494 or fax to 503/698-8494 or email at info@oesac.org.